University of the West Indies (Guarantee of Loans) Bill, 2007. Hon. G. A. Clarke: To move the Second Reading of the Transport Authority Bill, 2007. Hon. 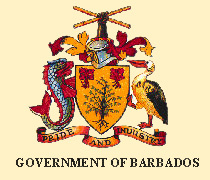 R. R. Farley: To move the passing of a Resolution to approve the vesting in the National Housing Corporation of parcels of land, the property of the Crown at Barbarees Hill, St.Michael for the purpose of housing development to facilitate the relocation of persons who reside in the environs of the Sewage Treatment Plant. Rt. Hon. O. S. Arthur: To move the passing of a Resolution to approve the guarantee by the Minister of Finance of the payment of the principle sum of three million, five hundred thousand United States of America dollars and interest thereon to be borrowed by the University of the West Indies from the Caribbean Developement Bank for the purpose of financing infrastructural work at the Cave Hill Campus. Hon. G. A. Clarke: To move the Second Reading of the Road Traffic (Amendment) Bill, 2007. Notice of this Bill was given on 17th July, 2007. The Bill first appeared in the Official Gazette on 23rd July, 2007.